Agriculture today is about so much more than a farmer simply planting a seed, rearing a cow or catching a fish. It takes a whole ecosystem and a host of actors to work together to produce the food we need for a population of more than seven billion people. This complex agricultural production system has evolved over time through scientific discoveries and other innovations. It is this dynamic nature that will equip agriculture to cope with the competing challenges of addressing food and nutrition security, improving livelihoods, combatting climate change and sustainably managing natural resources..
Let’s take a closer look at “science and innovation” in agriculture: the ways it works, the benefits it provides and the future challenges it must still help us to overcome. The world’s 570 million farmers are arguably the most important stewards of the earth’s land, water and biodiversity. Worldwide, farming uses around 40% of total land area, two-thirds of water withdrawals and 85% of water consumption today. This is up from around 7% of total land area back in the year 1700 when the population was less than 10% of what it is today. Advances in technology and farming practices have helped farmers become much more productive, growing crops efficiently in areas most suitable for agricultural production. 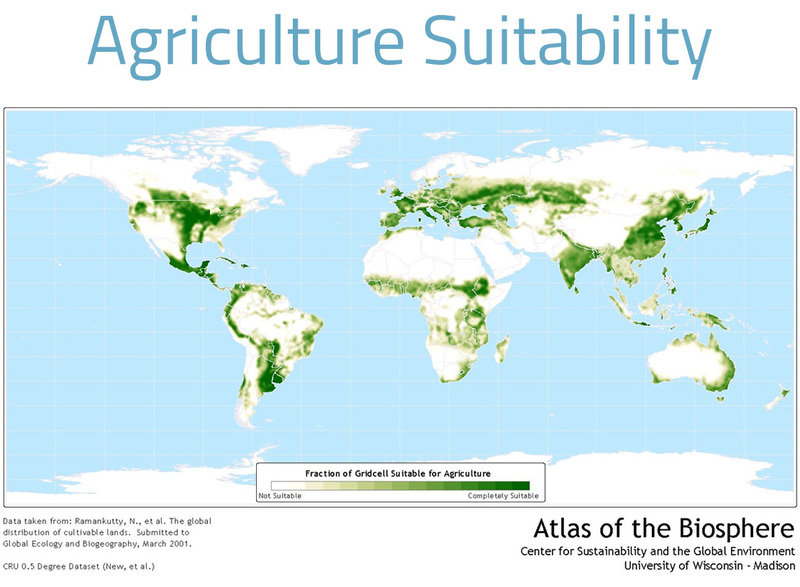 Without these advances, far more land would need to be cultivated to produce the food we need today. For instance, it has been estimated that we could produce the same amount of total food grown fifty years ago on less than one-third the amount of land used back then. 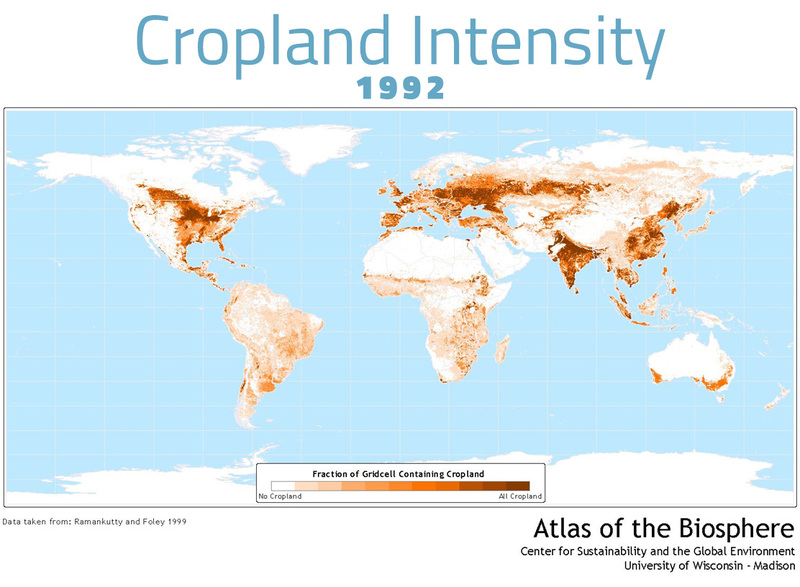 If yields had stayed the same since 1961, we’d need to cultivate more than double the amount of land to feed the population today – a shift from 12.2 billion acres to at least 26.3 billion acres. That’s 82% of our total land area on earth. Similarly, farmers tend to use water more efficiently as their yields increase. According to the International Water Management Institute, a farmer who grows about eight times the yield of another farmer uses only about three times as much water to do so. In the coastal region of southern Bangladesh, soil salinity and a shortage of water for irrigation typically keep farmers from growing a crop in the dry season. However, a group of innovative women farmers is increasing production of maize, wheat and mung bean during the dry season despite these challenges. Key to their success has been using simple machinery to reduce tillage. This allows for earlier planting and keep crop residues on the soil surface to conserve soil moisture and reduce salinity. The women have also used crop varieties that mature faster. In central Bangladesh, where the cost of irrigation and farm labour is skyrocketing, farmers and local service providers are teaming up to plant wheat, maize and legumes on raised beds to reduce labour and water requirements. The International Maize and Wheat Improvement Center (CIMMYT) and the Cereal Systems Initiative for South Asia in Bangladesh (CSISA-BD) are working in partnership with the Regional Wheat Research Consortium of the Bangladesh Agricultural Research Institute on this initiative. Indonesia’s rich landscape makes it ideal for cultivating commodities like palm oil. Yet the increasing incidence of farmers burning land to bring it into production is having grave environmental consequences. Satellite-mapping company DigitalGlobe is working with the World Resources Institute in Indonesia to create a better picture of the earth’s surface, as part of the “Global Forest Watch” (GFW) initiative. Global Forest Watch is an interactive online forest monitoring and alert system designed to empower people everywhere with the information they need to better manage and conserve forest landscapes. DigitalGlobe’s technology in Indonesia enables the team to see high-resolution visuals of fires and haze patterns that are affecting the environment. The images are then passed on to government agencies who are then better equipped to locate those responsible and develop better policies to prevent this from happening. Global Forest Watch allows users to create custom maps, analyse forest trends, subscribe to alerts, or download data for their local area or the entire world. Users can also contribute to GFW by sharing data and stories from the ground via GFW’s crowdsourcing tools, blogs, and discussion groups. The low-rainfall area of Barmer, Rajasthan, India can remain dry for up to 11 months of the year. If the rains do not come, farmers struggle to find enough water for their food crops, or for the goats that families keep as a source of milk and manure. Many men have also migrated to the city to find work. The International Crops Research Institute for the Semi Arid Tropics (ICRISAT) is working with women in Barmer, offering interventions to help reduce the drudgery of the labour women must undertake to survive. Women are helped to organise themselves into self help groups, and taught how to harvest rainwater. Using this harvested water, the women are taught how to keep small agri-horticultural gardens, which they can also use to earn an income. Improved seeds of pearl millet and other beans are also provided. One farmer who has seen great success is Mani Devi. She used the profits from her garden to buy a sewing machine, and is now training women in her family and the rest of the village on how to use it. Drones, or unmanned aerial vehicles (UAVs), are most often linked to the military. However, potato scientists at the International Potato Centre (CIP) are putting them to another use – to gather data on plant life. Remote sensing projects are helping scientists to observe how plant life develops and evolves across landscapes over time through characteristics such as biomass, nutrient content, disease and water use. In this sense, scientists can use UAVs to collect images and data on plant numbers and type, the lay of agricultural land, and how crops are being affected by disease and climate change. Currently CIP uses a number of airplane and helicopter UAVs including an Oktokopter XL. This insect-like remote flying machine was acquired from MikroKopter (Germany) and assembled in CIP and is capable of carrying up to two kilograms of camera and computer equipment and flying at altitudes of over 100 metres for up to 12 minutes depending on the application. The Oktokopter XL is also able to fly at a stationary position, which makes it an excellent tool for aerial photography. The forests of the Congo basin stretch over two million square kilometres, making it the second largest rainforest area in the world. Forests are essential for local and global life, as they not only provide food and a livelihood for the community, but also help prevent global warming by storing vast amounts of carbon from being released into the atmosphere. But a rapidly growing population and a diminishing source of fish are leading people in the Democratic Republic of Congo to undertake slash and burn agriculture in the forest basin. As part of a project run by the Center for International Forestry Research (CIFOR) and the United Nations Food and Agriculture Organization (FAO), a new course at the University of Kisangani is helping students collect better data on Congo’s forest, and perform agricultural activities whilst managing its biodiversity sustainably. There are currently few technically trained academics and scientists in DRC, and even fewer women involved in these subjects. Agents responsible for stewarding the forests are also attending courses, to learn more about the impact of human activity on forests. 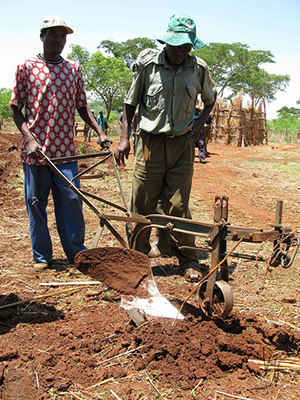 In Matopo, Zimbabwe, conservation agriculture (CA) techniques have been proved to help farmers increase their yields and conserve natural resources. Trained in CA, farmers use a variety of practices and technologies such as digging planting pits, improving soil fertility with manure, mulch or legumes, and precise planting. By multiple cropping and rotating maize with indigenous nutrient-rich crops, the soil quality builds over time. Crop residues trap moisture, control weeds, and maintain cooler soil temperatures. Despite challenging climatic conditions over a period of 3 years, farmers reported increases in yields of sorghum, millet and maize, from an average of about 0.5 tonnes to between 3-4 tonnes per hectare. Another survey in Zimbabwe compared CA with conventional farming practices under low, normal and high rainfall situations. 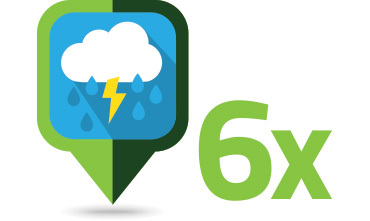 Regardless of the level of rainfall, farmers achieved yields between 2 and 6 times of those under conventional practices whilst benefitting from reduced input requirements. Agriculture for Impact has compiled a comprehensive collection of case studies of “sustainable intensification” in action. Innovation is not only driven by technological advances, but also through novel ways of organizing farmers and connecting them to the information they need. Many smallholder farmers around the world still farm the same way their ancestors did thousands of years ago. Traditional farming approaches may continue to work for some, but new practices can help many to substantially improve yields, soil quality and natural capital as well as food and nutrition security. For example, a smallholder farmer in Africa might still scatter her seeds across her land, rather than planting evenly and in rows. This stops the plant’s roots taking up the maximum amount of nutrients from the soil. She might use seed saved from generation to generation. While indigenous seeds are important to protect genetic diversity, improved seeds could also help her to adapt to changing climate conditions, fight crop diseases and produce higher yields. She may plant the same crop year after year, rather than rotating her crops or planting a range of crops together to grow more, maintain soil health and diversify her family’s diet. And she might store her harvest in such a way that leaves it susceptible to pests, diseases and rot. Sometimes, innovations to address these issues are taken to farms via extension training. Farmers themselves can be organized in innovative ways so they are reached more easily and effectively with information. The type and style of the extension itself has evolved much over time. For instance, advances in satellite mapping and information and communications technologies (ICTs) are transforming more traditional agricultural extension work today. Farming is becoming more precise and productive as a result. Banana bunchy top disease (BBTD) is a devastating virus infecting bananas worldwide. It has had a huge impact on both industrial banana production and on subsistence farmers who depend on the crop to feed their families and provide income. Once established, it is very difficult to eradicate and manage the disease. According to FAO statistics, Nigeria is the second largest banana producer in West Africa, contributing about 2.7 million tonnes annually. Together with partners, the International Institute for Tropical Agriculture (IITA) has launched the ‘Stop Bunchy Top’ campaign in Nigeria to help farmers fight the BBTD infestation. Training focuses on how they can identify the disease and produce virus-free planting materials. It also creates awareness among extension workers and policymakers about the danger of BBTD and control measures, including the need to plant clean banana suckers to prevent their fields from becoming infested. iShamba is a mobile based platform that enables smallholder farmers to access real time agricultural and market price information and expert advice via SMS and a call centre. Funded by the TradeMark East Africa’s Challenge Fund and devised by Mediae Company Kenya, iShamba complements Mediae’s existing Shamba Shape Up programme that uses reality TV to give farmers the tools and knowledge to improve profitability and productivity sustainably. iShamba offers a free subscription service to farmers, giving them market prices for two crops in the two closest markets to them; a weekly weather forecast for their area, including likely rainfall and agronomy tip text messages aligned to the season in the farmer’s specific region in Kenya. This helps them to know exactly when to harvest their crops and which pests and diseases to be on the look out for. Farmers are also currently benefiting from ‘special offers’ and ‘discounts’ from key East African Community-based agri-product suppliers who are keen to work with iShamba to reach new customers. Which Technologies Will Save Our Food Supply? How can we measure which technologies will have the most impact on our food supply? Until now, policymakers have struggled to make informed decisions on how to boost productivity in their regions in the most sustainable way. The recent report “Food Security in A World of Natural Resource Scarcity: The Role of Agricultural Technologies” compiled by the International Food Policy Research Institute (IFPRI) seeks to answer these questions. The report reviews 11 agricultural technologies ranging from traditional low-tech practices to more advanced technologies, such as no-till agriculture, heat tolerant varieties and rainwater harvesting. The report finds that different regions will need different technologies. For example, when the impact of drought tolerance is tested globally, it seems to have a low impact, as drought only affects some regions in some seasons and years. Combining multiple technologies (or ‘stacking’ them) can have an even greater impact. Adopting the three types of crop protection (against weeds, diseases and insects) together could reduce the number of food-insecure people by close to 9 per cent. An online tool has been developed to allow policymakers and researchers hands-on access to the results. In 2013, CropLife Latin America formed a partnership with the United States Agency for International Development (USAID) to train Honduran farmers in good agricultural practices. The aim was to help lift 108,000 rural Hondurans out of extreme poverty by teaching farmers how to protect their crops from pests and disease. AHSAFE-Honduras (the national member of CropLife Latin America) trained 120 USAID field officers on good agricultural practices and integrated pest management. The field officers in turn have trained more than 30,000 Honduran farmers. These farmers have been able to tackle pests and disease to improve the yield and quality of their crops and they are now earning higher incomes and enjoying a better quality of life. The project helped Emiliano Domínguez, a small-scale Honduran farmer, lift his family out of a life of poverty. He has been able to pay for a new house for his family of five and he has increased the amount of land he farms six times over. The work in Honduras illustrates how public-private partnerships and good agricultural practices can address hunger and poverty around the world. Rice production is not keeping up with demand in Africa. Changing diets, and rapid population growth mean that cultivation of this staple crop must dramatically increase its efficiency. To close the rice yield gap in Africa, AfricaRice, under the guidance of Dr. Kazuki Saito, has developed a decision support application (app) for providing African farmers with field-specific management guidelines called ‘RiceAdvice.’ It is an interactive tool, which generates recommendations based on farmers’ answers to around 20 questions. RiceAdvice can identify the best choice of fertilizers to be purchased based on nutrient requirement and fertilizer prices, and their amounts and application timing. In RiceAdvice, farmers can also select their own target yield level based on their budget. It has been tested in the Senegal River valley and Kano, Nigeria. Results show that RiceAdvice guidelines give more than one tonne per hectare of yield advantage compared with farmers’ practices. Saito is also leading a team that has developed the first version of a yield gap map for rice in nine African countries in the ‘Global Yield Gap Atlas’ website. Seasonal rainfall forecasts can help farmers adapt to climate change and improve their resilience to climate shocks. 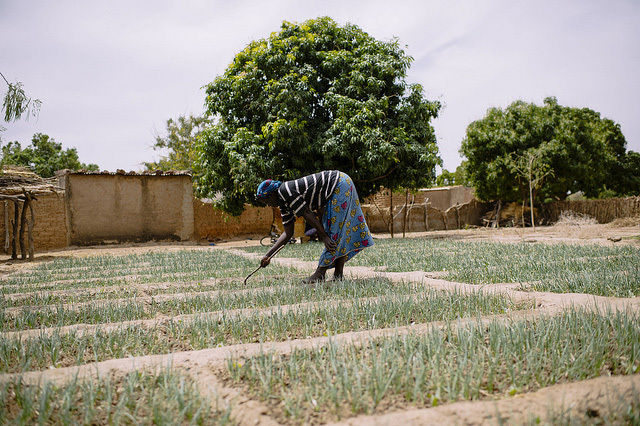 The CGIAR Research Program on Climate Change, Agriculture and Food Security (CCAFS) is collaborating with the Senegalese National Meteorological Agency (ANACIM) to develop climate information services that are relevant to farmers on a broad scale. Farmers have been involved in every step of the process, helping meteorologists and other specialists package and communicate climate information. Receiving climate information is one thing, but putting it into practice is another. In the beginning, some farmers were reluctant to join the project, as they were very accustomed to basing their actions only on their own know-how. However, as the project was willing to integrate local knowledge into the climate information disseminated, these farmers became less resistant. Today, farmers are no longer content to wait for climate information, but go in search of it. Often in Dalung, Ghana, the cold winter winds chase people inside in the evening. But when they have the chance to watch a television screen that teaches better ways to farm, a crowd of 200 villagers gathers in the thoroughfare. They lean in to hear a message that challenges all they know about rice farming and how to grow more than ever. This is one of several ways IFDC’s Feed the Future Ghana Agriculture Technology Transfer project (ATT) reaches rural farmers through media-based extension. These methods inform farmers quickly and in a cost-effective way. 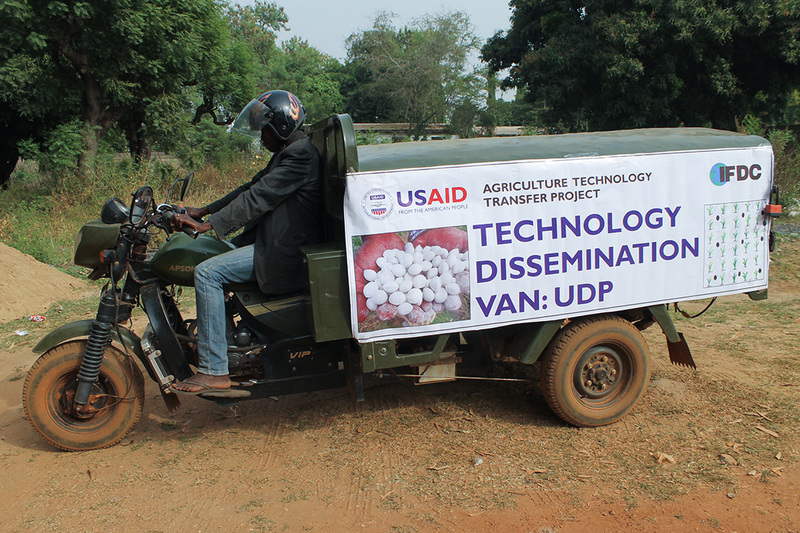 In Dalung, farmers learned about new technology through public video screenings, held on mobile “video vans.” ATT focuses on producing and curating content that appeals to all demographics of farmers. The project helped produce a reality show, “Kuapa,” that promotes good agricultural practices and is aired on Ghana’s most popular TV network. Elsewhere, the project collaborated with Farm Radio International (FRI) to host programs designed to benefit small-scale farmers. This program implements an Integrated Voice Response System to provide on-demand assistance to farmers who desire to learn more on their own time, and in their own language. Together these initiatives are estimated to have reached more than 1 million smallholder farmers. The quality, availability and proper use of agricultural inputs is at the heart of agricultural production and sustainability. The crops that we grow today have been bred over the past ten thousand years to be quite distinct from their wild ancestors. Maize, for instance, has evolved from a species called teosinte, which is native to Mesoamerica. Similarly, modern wheat is the result of farmers in the Near East selecting for mutations which resulted from the natural crossing of different species of wild grass. Farmers today are faced with a changing climate, which demands seeds that can cope with increased incidents of droughts, heatwaves, floods and elevated salinity levels. This is happening while arable land per capita is ever decreasing, which compels farmers to maximize harvests on existing land. To do this, the right inputs need to be used in the right amount and at the right time, in the right location. This is called the 4Rs, and is an integrated part of best management practices for improved and more efficient fertilizer application. For example, in more developed countries, global positioning systems (GPS) are helping farmers to track their use of fertilizer and match it very precisely to various soil types on their farm. It can also help them to identify potential pest or disease outbreaks. Without pesticides and other pest controls, an estimated 70% of the world’s crop might be lost, rather than 42% today. This would require substantially more cropland being brought into production to make up for this loss. Rice dies within days of being completely submerged, resulting in total crop loss. In Asia, where most of the world’s rice is grown, about 20 million hectares of rice land is prone to flooding. In India and Bangladesh alone, more than five million hectares of rice field are flooded during most of the planting seasons, which severely damages food supplies and farmer incomes. In response, scientists have developed a “flood tolerant” rice variety that can withstand being submerged for two weeks. Scientists at the International Rice Research Institute (IRRI) scoured rice’s rich diversity for a gene that gives flood tolerance. After the gene (called SUB1) was found, it was bred conventionally into popularly grown rice varieties in rice-growing countries in Asia. Several varieties with this “scuba” gene were released to India, Bangladesh, Philippines, Indonesia, Myanmar, Lao PDR, and Nepal. Farmer Nakanti Subbarao of Andhra Pradesh, India, was one of the first to adopt Swarna-Sub1 in his community. After seeing that he recovered 70 per cent of this rice after three weeks of flooding, he distributed Swarna-Sub1 seeds to his fellow farmers in Maruteru, which led to coverage of 800 ha in his village, and its nearby areas during the wet season of 2009. Scuba rice is spreading fast in several countries over the last few years, and currently grown by more than five million farmers in Asia. 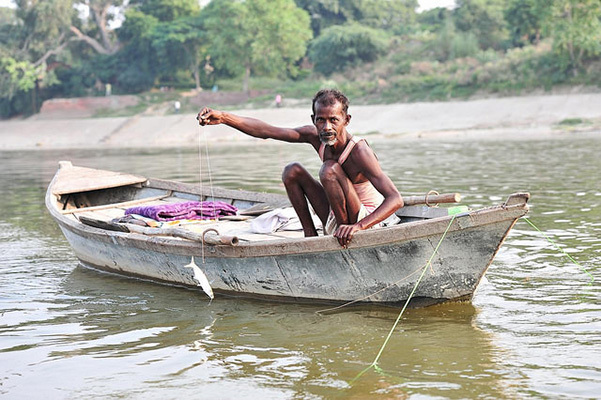 In Bangladesh about 60 per cent of the population eats fish at least every other day. Just as a nutritious diet is essential for our own healthy growth and development, the quality of feed given to farmed fish directly influences how fast and large they grow—in turn impacting the yield and farmer profits. Yet it can be expensive and difficult to access quality feed. WorldFish, funded by the United States Agency for International Development (USAID) is working on the Aquaculture for Income and Nutrition (AIN) project in Bangladesh, training farmers to make their own fish feed from subsidized feed mills. Since January 2014, AIN has established 62 feed mills and trained 430 farmers in feed production. Fish are now growing faster, and as growing feed is cheaper than buying it, fish farmers are enjoying a better income. In a country where more than a third of the population lives below the poverty line, AIN is improving the productivity of household and commercial fish farms to help secure income and nutrition for rural farmers and their families. In a country often referred to as the “pearl of Africa”, one crop—orange sweet potato (OSP)—has become a real gem for Ugandan farmers and their households. Bred conventionally through a process known as biofortification, OSP packs enough vitamin A to provide a child with a full daily dose. In Uganda, one-third of all children under five lack enough vitamin A, contributing to 29,000 deaths each year. Diarrhoea is one of the leading causes of child mortality in Africa, but a recent study has shown that OSP can help children ward off or reduce the duration of the disease. As their children enjoy the nutritional and health benefits of OSP, Ugandan farmers are realizing other gains from the crop, too; OSP is high yielding, early maturing, and drought tolerant, giving farmers good harvests and an additional way to make a living. To date, nearly 300,000 Ugandan farming households are growing and consuming OSP in a project run by HarvestPlus. With demand for the crop continuing to rise, HarvestPlus and the Government of Uganda are working together to scale up nationally. In 2005, a new strain of rust disease devastated lentil fields in Ethiopia. The local variety of seeds used by the farmers had little resistance to the new disease caused by unusual weather, a growing problem with climate change. Nearly 90 per cent of the farmers lost their produce. In response, the Ethiopian government with the help of the International Center for Agricultural Research in the Dry Areas (ICARDA) stepped up efforts to improve legume varieties, with support from the International Fund for Agricultural Development and the government of Netherlands. ICARDA provided improved germplasm and varieties of lentils, chickpeas and faba beans for testing on farmers fields. The new varieties were first tested by the Ethiopian Institute of Agricultural Research (EIAR) for adaptability to the local environment, and after crossbreeding with local varieties, those with the highest yield potential were released. Today, 20 per cent of Ethiopian farmers grow improved lentil varieties from ICARDA’s project, and legumes are now becoming popular. Apart from boosting yields, these crops are making soils healthier and reducing their expenses on fertilizers. Legumes, being rich in protein and essential minerals such as zinc, also enrich the diets and nutrition of farmers and their families. Both water and fertilizers play a critical role in agricultural production – in fact, each depends on the other. Fertilizer’s influence on yield depends on the water available to crops, and water’s impact on yield depends on nutrients’ availability to crops. This presents a significant challenge for countries that have limited, or erratic rainfall, and/or poor access to fertilizers. Traditionally, approaches to boost production in dry regions have focused on individual interventions such as fertilizer use, or water conservation measures. But scientific trials have discovered that approaches that integrate both fertilizer and water use are much more effective. For example, in the Tadla region of Morocco, laser-assisted land levelling, that reduces water runoff after rainfall, has resulted in both saving 20 per cent more water, and increasing crop yields by 30 per cent. Tiered ridges that capture rainwater have a similar effect: sorghum grain yields at on-farm locations in Burkina Faso were higher with the combination of fertilizer and tied ridges than with either fertilizer or tied ridges alone. Agronomists at the International Fertilizer Industry Association, together with partners, have produced a scientific book that reviews the latest knowledge on plant nutrition and water management that can optimize water productivity and fertilizer use efficiency and effectiveness. ‘Resilience’ describes whether a farmer (and her farm) is able to withstand or recover from stresses and shocks. ‘Stresses’ are regular, sometimes continuous, relatively small and predictable disturbances (e.g. lack of access to inputs, a declining natural resource base, climate change and poverty) while ‘shocks’ are irregular, relatively large and unpredictable (e.g. floods, droughts, heatwaves and price volatility). 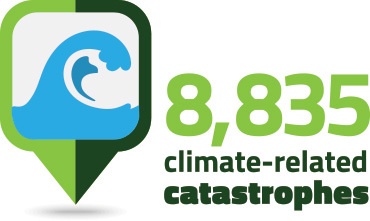 The World Meteorological Organization (WMO) has estimated there have been 8,835 climate-related catastrophes, between 1971 and 2014, claiming 1.94 million lives and cost the global economy $2.4 trillion. The economic cost of natural disasters from $5 billion on average each year in the 1970s to over $40 billion in 2010. Can farmers be supported to help predict these stresses and shocks? Can they be helped to prevent them, buffer themselves or fight against their negative impacts? And can they adapt in ways that make them even better off and more knowledgeable as a result? According to the government of Ethiopia, 8.2 million people are in need of humanitarian assistance due to the current drought, coupled with successive failed seasons. El Niño weather conditions and rain failure are resulting in crop harvest loss, livestock death and declining productivity, putting over 400,000 people under emergency support needs. Despite this gloomy background, districts where World Vision has implemented Farmer Managed Natural Regeneration (FMNR) are exhibiting greater resilience. FMNR means helping naturally occurring trees to return to the landscape to help to keep the soil from washing away, to shade crops and to help the land to hold water. Compared to the adjacent districts, agricultural production of the households that applied FMNR have largely been unaffected due to high moisture retention in their soils. Rivers and hand-dug wells have sufficient water despite reduced precipitation. Income from agricultural production has increased by more than double. Fodder for livestock, wood supply, and a stable microclimate all remain intact. Furthermore, revenues from carbon credits that farmers have earned for planting more trees cover expenses such as school fees, medication and the purchase of improved seeds, thus safeguarding the wellbeing of families. The observed impact in Ethiopia clearly shows the potential for FMNR to serve as insurance against climate change induced shocks and stresses. Back in the 1950s, Latin America and the Caribbean experienced one of the most devastating plant disease epidemics in history. The fungus, Panama disease, wiped out large production areas of Gros Michel, the export banana variety. This fungus still remains in the soil, and threatens the livelihood and food security of millions of smallholder farmers. Bioversity International scientists, in collaboration with partners, have been working with 18 producers in the area of Turrialba, Costa Rica, and Tola, Nicaragua, helping them to become more resilient to Panama disease. Workshops were carried out to teach farmers how to recognise the disease, and stop it spreading. Good agricultural practices were promoted, such as using disease-free planting materials, as well as organic matter application and soil health-oriented fertilization. As a result of the interventions, farmers significantly improved their knowledge about Panama disease and management. They have also shared their experiences with neighbours through group training events, farmer field days and informal exchange. Farmers now have a toolbox of validated practices for enhanced soil health and management of Panama disease in bananas, as a strategy for protecting their livelihoods. In Ethiopia, an estimated 12-15 million livestock keepers live in the dry, low rangelands that cover most of the country. These rangelands have huge untapped potential, but drought, unsuitable farming practices and overgrazing have left the land in poor condition, which in turn has impacted the health, condition and value of livestock. Men, who are typically responsible for livestock production, are moving further afield in search of resources, taking them away for longer and increasing risks to their herds of disease and starvation. This affects household incomes, and results in distress sales or consumption of livestock during the hunger period, leaving many households unable to restock herds and lacking savings to invest in alternative incomes. Farm Africa is working with partners to find more sustainable ways to use available grass and water, and to improve pasture quality. This process can be difficult to measure, as typically the areas in question are very large and remote. The RaVeN monitoring tool under development by LTS International as part of this effort, aims to address this problem. This new tool uses freely available optical and radar satellite data in combination with meteorological data to measure the “greenness” of an area at different points in time, and therefore improve information on what good quality pasture is available for pastoralists to use for grazing their herds. A new initiative being pioneered by scientists at the International Water Management Institute is channelling surplus surface water from flood‐prone rivers, to a modified village pond. Brick structures in the pond allow the water to flow swiftly down below ground, where they infiltrate the local aquifer. This water can then be pumped back up again during the dry season so that farmers can maintain or intensify their crop production. Putting this into practice will save on the large funds spent each year on relief and restoration efforts of flood victims and on subsidies for groundwater extraction during the non‐rainy season. With floods being a common occurrence across the Ganga basin, researchers hope that the scaling up of this intervention would help in effectively protecting lives and assets downstream, boosting agricultural productivity and improving resilience to climate shocks at the river basin scale. This will be especially important to help communities deal with climate change which is likely to bring ever more variability in water supply and rainfall. Planting fruit trees is not a new practice in Central Viet Nam. Local species of pomelo and orange were once popular in home gardens and known for their special flavour. But as focus shifted towards extracting resources from the nearby forests, these fruit-bearing trees were slowly forgotten. But in the last decade, declining soil and water quantity, reduced river flow, and drought have forced farmers to seek alternatives. Tree planting in home gardens and sloping lands provides one such solution. The World Agroforestry Centre (ICRAF), in collaboration with partners and local people has established 12 agroforestry systems in home gardens and sloping land in three villages. The systems combine trees, annual crops and fodder grass. Pomelo and orange trees are planted amid annual crops, such as beans, peanut, sweet potato, maize and guinea fodder grass. Mixed systems are not only more resistant to climate-related hazards but recent scientific findings show that local people residing in areas with diversified agricultural or forest products are also healthier owing to more nutritionally diverse diets. Market access allows farmers to buy the inputs they need such as improved seeds and fertilizers, and also to bring their crops, livestock and fish to market to earn a living. Millions of smallholder famers live in remote areas, and are often isolated from market opportunities. Innovations in connecting these farmers to market are happening in many ways – resulting from social, technical and scientific advances. These advances help farmers find and share up-to-date market pricing information; protect and add value to their harvests; invest in their business; reduce and share risk; and access finance and training. These innovations can be used and accelerated by actors all across the agricultural value chain to reduce transaction costs and risk while helping to give farmers equal access to the opportunities that exist through trade. In Cambodia, traditional wood-burning stoves used to smoke freshwater fish typically result in low profits and emissions harmful to the environment. To improve this process and fetch higher prices from buyers, many young women engaged in this livelihood are taking part in the Cambodia HARVEST programme, funded by the United States Agency for International Development (USAID), that provides a new, fuel-efficient alternative. Eco-friendly stoves designed by the programme use 30 per cent less wood while smoking fish 15 per cent faster than conventional models. The end product is of a higher quality and ensures greater market access. All 289 of the programme’s fish processors utilize these new stoves. Kry Sokly, a fish processor in in Kampong Prak village, has increased her family’s annual income by 75 per cent, from $1,000 to $1,750. Not only has the new stove contributed to this success, but Kry also took part in trainings on entrepreneurship and hygiene within her producer/savings group. These organizations, formed by Cambodia HARVEST as another way to connect fish processors to the market, offer an opportunity for women to come together for greater knowledge exchange. Moreover, members contribute money into a pool from which they can borrow when needed at interest rates lower than commercial lenders without stipulations on how they use the money. 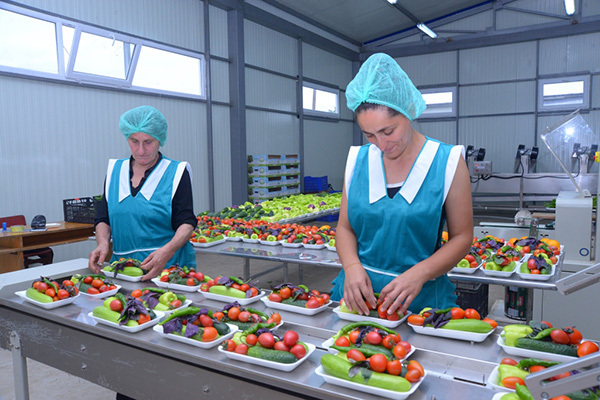 In the Republic of Georgia, the agriculture sector is booming. Producers are required to adapt and utilise new technologies to keep up with both local and international market demand. The company Herbia had run a consolidation centre, where local farmers could bring their produce to market for several years, as well as a three-hectare greenhouse for culinary production. Yet the company was in need of new technologies to increase its sales and market share, so applied to the USAID Restoring Efficiency to Agriculture Production (REAP) matching grant programme, and established a new refrigerated warehouse with two modern packing lines. This new equipment quickly enabled Herbia to purchase more goods from smallholders and to launch a new product line that provides whole vegetables for ready-made salads. Additionally, REAP assisted Herbia in rebranding including the development of a new logo and packaging. The new brand launched in April 2015 in more than 80 Tbilisi supermarkets, resulting in an immediate rise in sales of more than 20 per cent. The new equipment, coupled with Herbia’s rebrand, has produced 16 new jobs (including nine for women), generated more than U.S. $222,690 in sales, and enabled the purchase of more than 44MT of new herbs and vegetables from more than 150 new farmers. Hidden in the conflict-ridden borderlands of Colombia and Ecuador, farmers have been growing exceptional quality coffee beans, but have remained largely disconnected from gourmet coffee markets. Scientists at the International Center for Tropical Agriculture (CIAT) joined forces with Catholic Relief Services last year, to analyse the coffee trade and find out how coffee farmers in the Nariño region could be linked to these more lucrative markets. It was soon discovered that buyers from big coffee brands were purchasing Nariño’s coffee based on sight and not a taste test. Farmers were receiving a flat rate for any coffee beans considered to score above 85 out of 100, even though many, when tasted, could actually reach the high 90s. A “cupping” session was arranged by the project, to teach farmers about the rigorous tasting process that could set their coffees apart and help them earn much higher financial rewards. In its first year, the project enabled around 100 farmers to break into the gourmet coffee market. This year they are up to around 550 and that number is likely to rise. Traditional business model analysis dictates that the agricultural sector across Africa represents substantial risk. So it is no surprise that existing financial institutions have only met 1 per cent of the overall demand for credit in agriculture. Umati Capital focuses on data and technology, to help small to medium sized enterprises and agribusinesses unlock cash for immediate growth but also achieve operational efficiencies for sustained growth. Umati Capital has been working closely with one of the leading fair-trade and organic certified Kenyan exporters of macadamia and cashew nuts. Before Umati Capital, the exporter painstakingly procured raw nuts from 60,000 smallholder farmers in remote areas across Kenya using manual and paper-based processes, resulting in errors and delayed payments to the farmers. Umati Capital helped the exporter by providing invoice discounting, and automating the exporter’s supply chain processes, enabling on-time payments for the farmers. As a result, the exporter increased purchases from farmers by 50 per cent and improved efficiencies in procurement by 90 per cent. The MilkIT innovation platform has helped women stuggling to make ends meet in the Himalayan hills of Northern India to generate a regular income from milk from their cows. Beginning in early 2013, the MilkIT project made efforts to unite dairy development actors, researchers and farmers, to improve access to dairy markets and improved dairy feeds, Now, more than 800 households are selling their milk at higher prices due to collective marketing by self-help group-based cooperatives and closer links to the state cooperative, with subsidies provided to those transporting milk from distant villages to markets. Livestock keepers have been able to replace unproductive stock with higher yielding animals due to credit support provided by development. Simple feed innovations such as feed troughs, forage choppers suited to women’s needs, adoption of improved forage varieties and dual-purpose crops that act as feed and food, has helped to reduce women’s labour while increasing the availability of fodder. 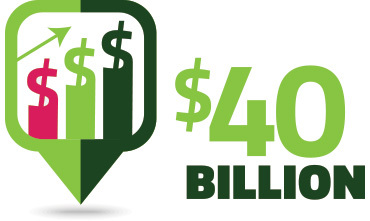 An impact study conducted in November 2014 showed that families participating in this innovation platform earned five times more income from their dairy animals than non-participants in one year.